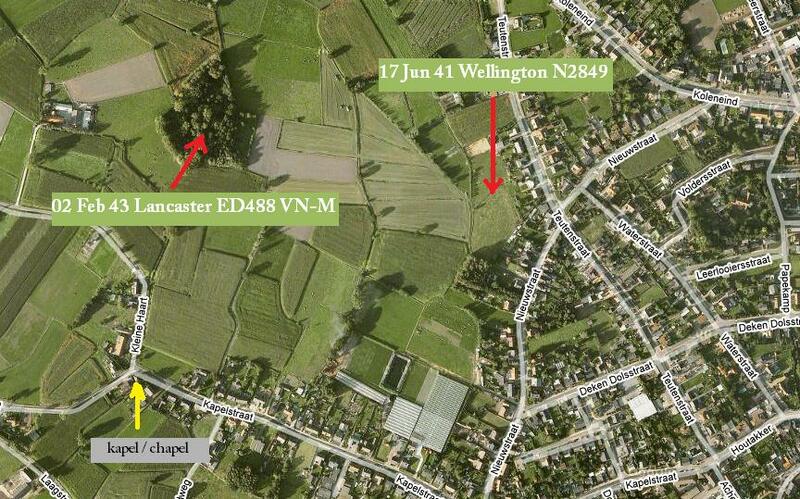 Concerning the flight of the Lancaster bomber LANC III ED488 VN-M, which crashed at Hamont in Belgium on 2nd February 1943, the following events could be reconstructed from the R.A.F. Bomber Command Intelligence Narrative of Operations, the Operations Record Book of the 50th Squadron, German wreck salvage reports and from eye-witness accounts. On the evening of 2nd February 1943 an allied fleet of 161 aircraft set out for a bombing raid on the city of Cologne in Germany. The 5th Group of this fleet comprised 74 Lancaster bombers. 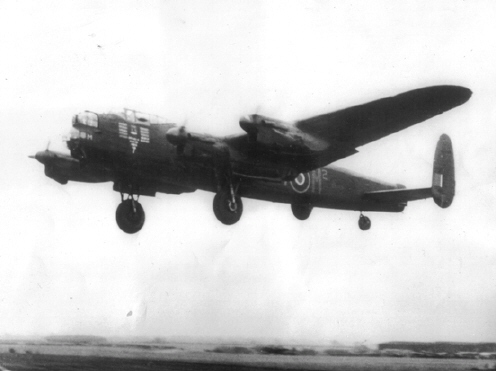 To form the 5th group the 50th Squadron, which had its base at Skellingthorpe (Lincoln), sent 8 Lancaster bombers. Six of these aircraft were completely successful. One aircraft returned early owing to the rear turret being out of service. 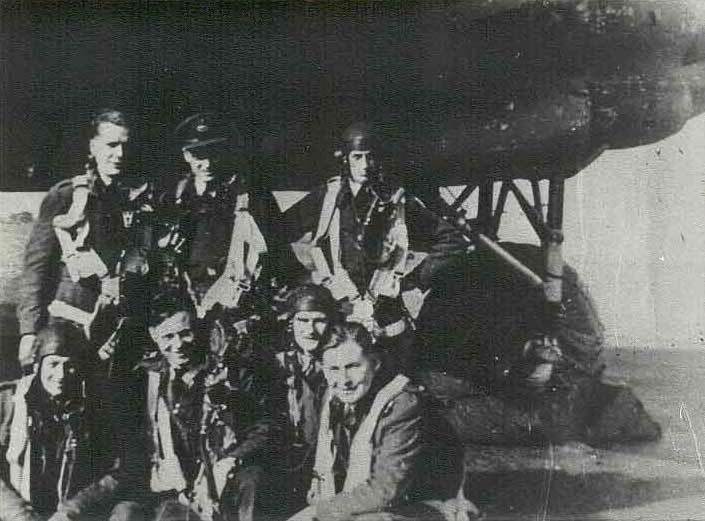 One aircraft, the LANC III ED488 VN-M of Flying Officer Al Power and his crew, failed to return. During this air raid on Cologne, the Stirlings, which had to mark the targets with flares before the bombers flew over, used new H2S target searching radar devices. The Operations Record Book of the 50th Squadron reports that most of the aircraft experienced trouble owing to the freezing up of the guns, but all agreed that what they had seen of the raid was a first-class effort. Terrific fires were raging over the whole area and the target area was so well illuminated by the glow that the pilot of one aircraft was able to clearly distinguish a factory and attack it. Defences were not heavy but flak was very accurate, and there were many searchlights. 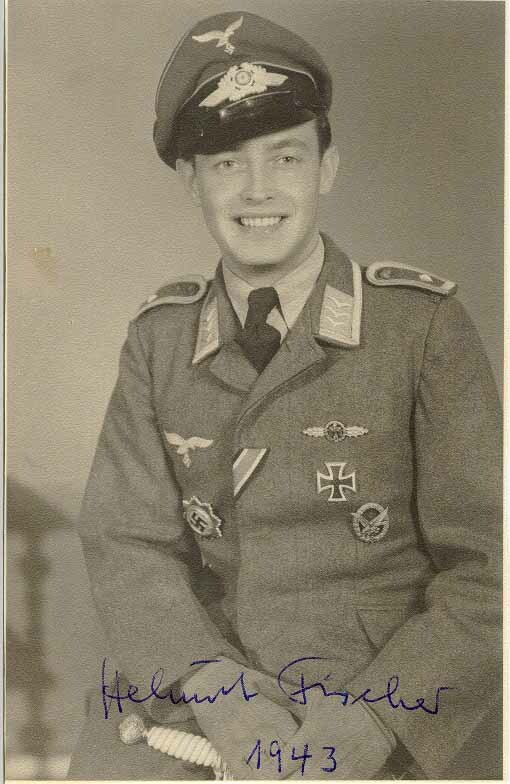 On their way home, the aircraft of F/O Al Power and his crew was attacked by the German night-fighter Messerschmitt Bf110 of pilot Major Werner Streib and radio operator Helmut Fischer. The two air gunners immediately opened fire on the attacking German plane, but a second attack left both air gunners fatally wounded. The steering mechanism was damaged and the plane caught fire. Since the plane was completely out of control, F/O Al Power instructed his crew to bale out, but as the last man to leave the plane, his parachute failed to open. 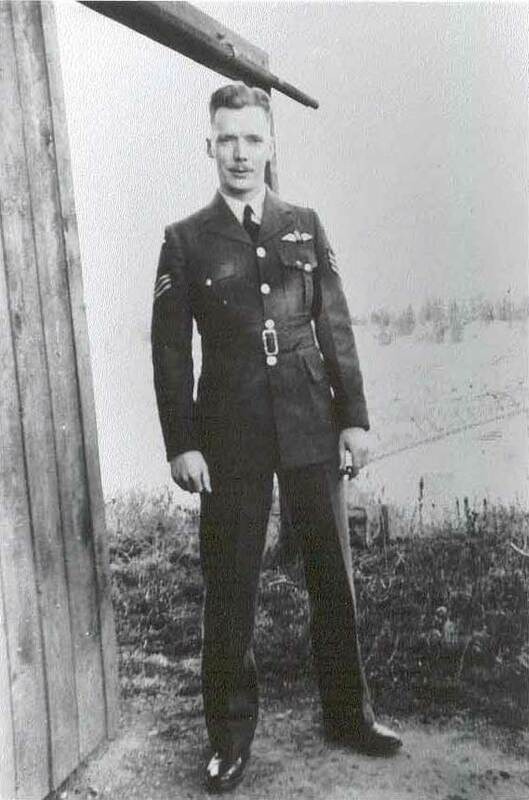 The Lancaster flew low over the nearby farm, owned by the Tijskens family, and crashed in a swamp called 'Het Papebos', in the Belgian village of Hamont at 9:27 P.M.
A German report made on 3rd February, the day after the crash, mentioned that the plane lay under the swamp's surface. Another German report of 12th February mentioned that to salvage the wreck would be technically impossible. Sgt Norman Clark, Sgt Holland, Sgt Victor Mitchell and F/O Tom Church, who had been able to leave the burning plane in time, survived the war. They were all interned in German prison camps for several years. A long time after the war, on 12th September 1983, they returned to the crash site at Hamont, to commemorate their fellows for the first time. This commemoration was organized by the association "The Friends of the Allied Air Force" of Mr. Peter Loncke from Lommel, with the cooperation of the local authorities of Hamont-Achel. The names of the two air gunners, Sgt Stanley Beadon and F/Lt J. M. Bousfield, are engraved in the R.A.F. memorial in Runnymede on the Thames, together with 20,454 names of other R.A.F. airmen who have no graves. F/O Al Power was buried in the military cemetery at Heverlee in Belgium. 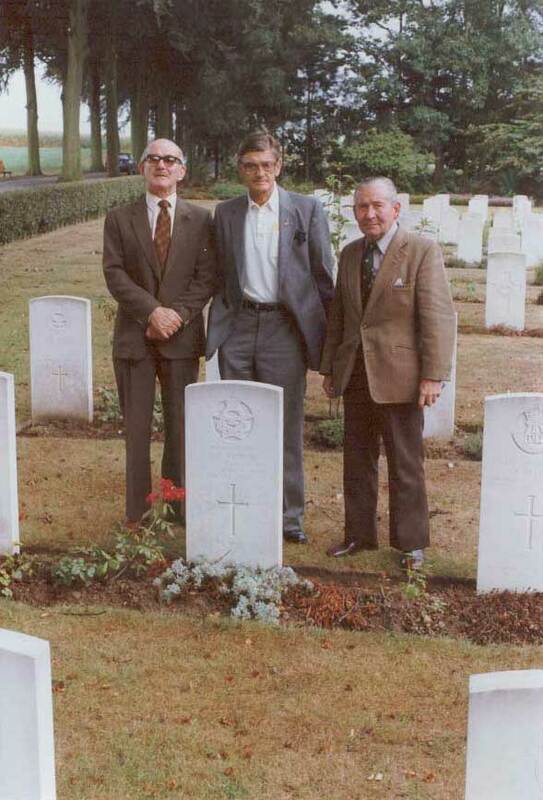 L to R: Sgt Norman Clark, F/O Tom Church and Sgt Victor Mitchell at the grave of F/O Al Power at Heverlee cemetery in September 1983..
At the chapel of B.V.M. of de Poor in the hamlet De Haart of Hamont, a commemorative plaque mentions the names of the three war heroes of the 50th Squadron who lost their lives for our common freedom. On one of her visits to Hamont-Achel in the nineteen-eighties, Mrs. Bousfield donated a silver chalice to the church of Hamont, in memory of her husband Jack. Though it remains the property of the church of Hamont, this chalice is now on display in the Grevenbroek Museum. On Sunday 1st June 1997, Mr. Robert Bousfield from the United Kingdom, the youngest of the two sons of F/Lt Jack Bousfield, visited the crash site and the Grevenbroek Museum. On 20th June 2002, the two daughters of Sgt Stanley Beadon will visit Hamont-Achel. Major Werner Streib was born in Pforzheim Baden in 1911. As a civilian he worked in a bank before entering in the Wehrmacht in 1934. Later he asked to be transferred from the Heer to the Luftwaffe. When his request was accepted, he began his new pilot career as an observer in a reconnaissance unit. In 1937 Streib was transferred to the Richthofen Geschwader in Jueterbog-Damm. 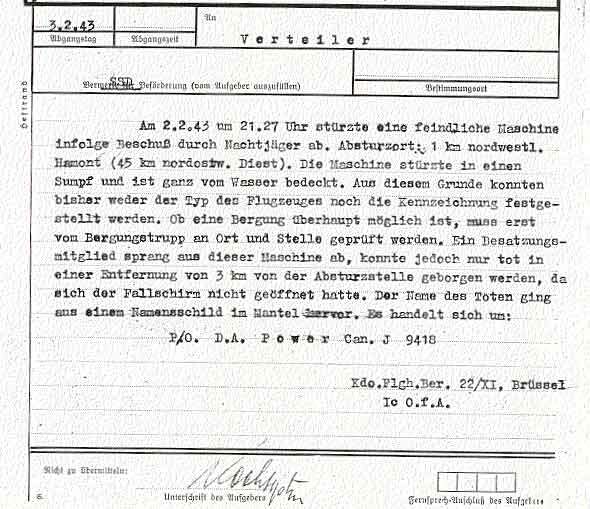 In 1939 he was a pilot in Falck's I./ZG 1 Zerstörergeschwader. He was known as "the father of the night fighters", both because he was the first to score a night victory and because he was the oldest among the other night fighter pilots. 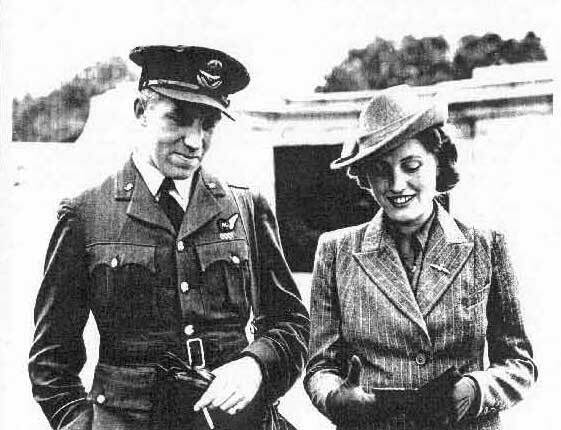 On 20th July 1940 Streib scored the first night fighting victory over German territory over a RAF Whitley bomber. Since then his career was always raising celebrity. 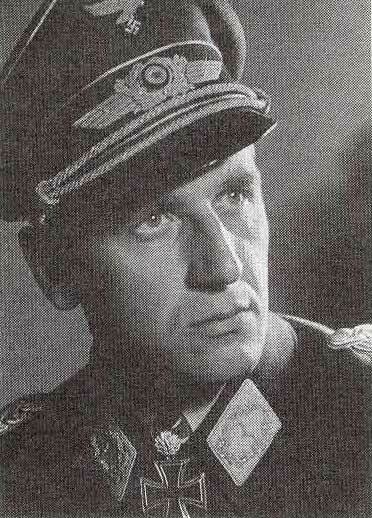 In October 1940 he was already a Captain (Hauptmann) and Gruppenkommandeur of I./NJG 1. From that time till May 1941 he reached an amazing score of 26 night victories. In June 1943 he was a Major with 50 night victories. He was regarded as a technical authority and appointed to Ernst Heinkel for the development of the He 219 night fighter, which was indeed a strong weapon. When the first prototypes of the He 219 were available, Streib had his own and was the first to combat-test the type. It happened the night of 11th June 1943 when British bombers were on mission against Berlin. Helped by his radio operator Fischer, Streib shot down - with short but powerful bursts of six 30-20 mm cannons - an amazing amount of five victories in just half an hour. On 1st July 1943 Streib became Kommodore of NJG 1. By the end of the war 65 was his final score of victories. In 1947 he married and handled a successful food store till 1956. When the new Luftwaffe was formed, he was called to put his experience in service of the new Germany. Streib re-entered the Bundesluftwaffe as Kommandeur in a flying school in Landsberg. In 1966 he ended his very long military professional career with a peaceful pension. He was then a Brigadier (Brigadegeneral) of the new Bundesluftwaffe. At the beginning of the nineteen-nineties, Mr. Robert Bousfield wrote some letters to the former radio operator Mr. Helmut Fischer, to try to find out more details about the air battle in which his father was engaged. He specifically asked why there had been a second attack on the Lancaster. Mr. Fischer answered that second attacks were only made when the fires on a plane were being extinguished. Mr. Helmut Fischer was born on 4th December 1920 in Gelsenkirchen, Horst. He gave his consent for the publication of the above letter to the Grevenbroek Museum on 23rd February 2002.